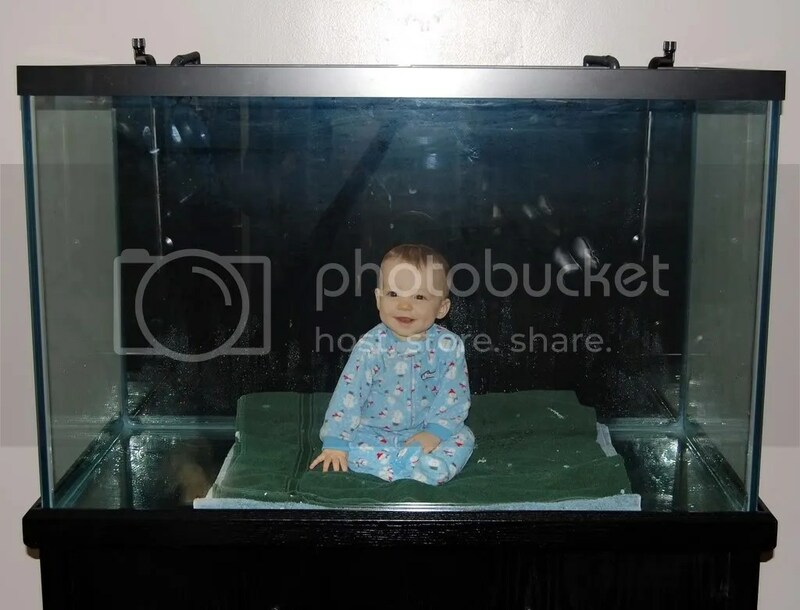 Our son has several aquariums as a hobby. He had just set up this new 150 gallon monster when he decided to try it out with what he called “The rare ‘Casey’ fish.” Of course, it’s our grandson! The little guy seems to enjoy this unique perspective on an aquarium! I’m glad our grandson’s being raised in an environment of humor. Laughter and humor, as I’ve said before, is a proper response for people of faith. 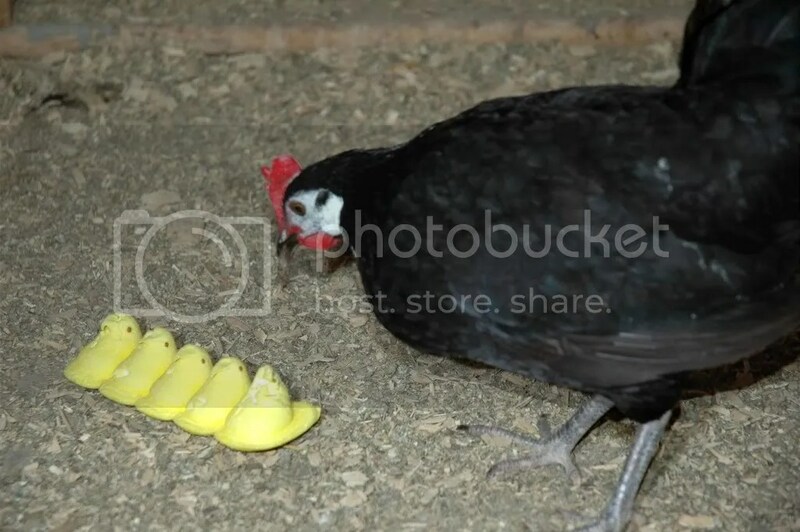 What Does a Real Chicken Do with PEEPS? Easter is just a few weeks away and I suspect I’ll have some serious reflecting on the profound meaning of this all-important season. But, Christians can have some light-hearted fun too. So, here goes…. I raise bantam chickens as a hobby. I was wondering…. What would happen if you took those marshmallow-made little yellow chicks and put them in with a real hen? Will she try to adopt them, take one look and run, take one look and ignore them, eat them, or what? I’ll tell you what happened when I put some PEEPS in with my hens, as recorded in the above photograph, but I’m not telling you now! What do YOU think happened? Give me your thoughts! I’ll reveal the REAL answer in a few days. They say that we just came through the most depressing week in the year. The holidays are past, days are short & nights long, the weather is cold, New Year’s resolutions are already broken, and tax season is coming. I enjoy our patio in the summer, sitting out there, enjoying a beverage, reflecting. 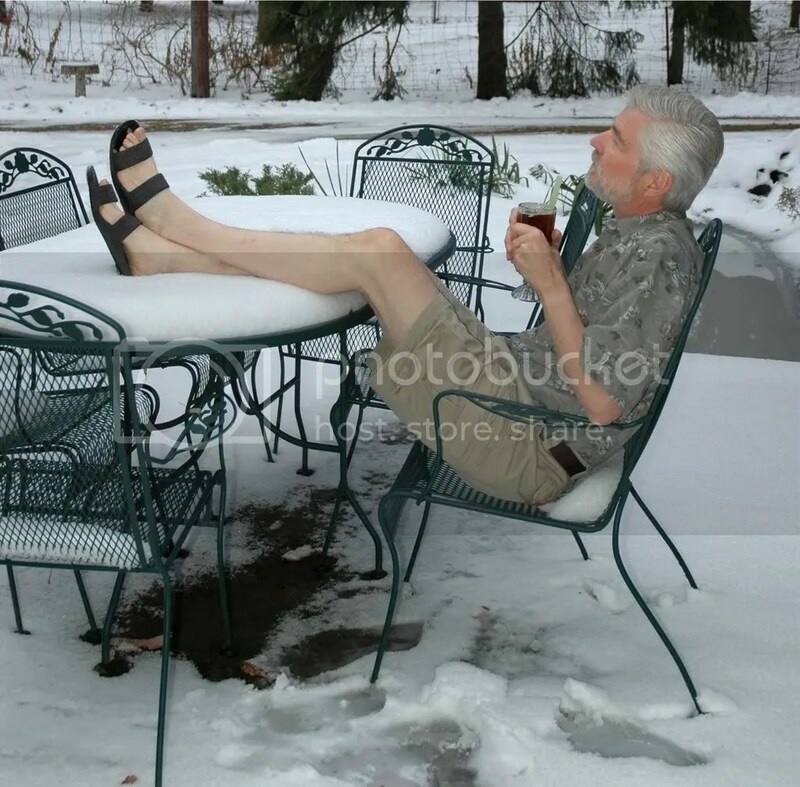 So, I decided to do that recently, in spite of the weather! I just didn’t do it for very long!